I am feeling very lucky. I may just pick up a lottery ticket on my way home from the office. 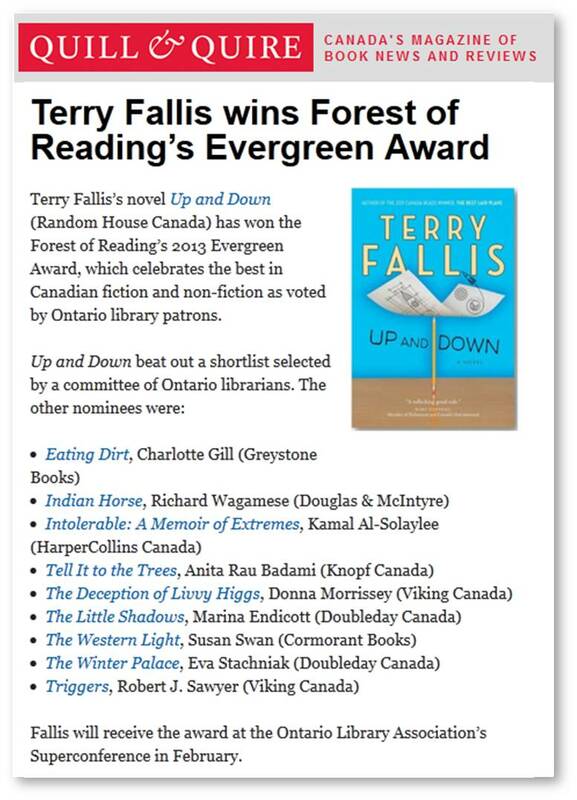 I found out late last week that Up and Down had been named the winner of the Ontario Library Association’s 2013 Evergreen Award for the best in fiction or nonfiction as voted by library patrons across Ontario. I’m honoured and thrilled. 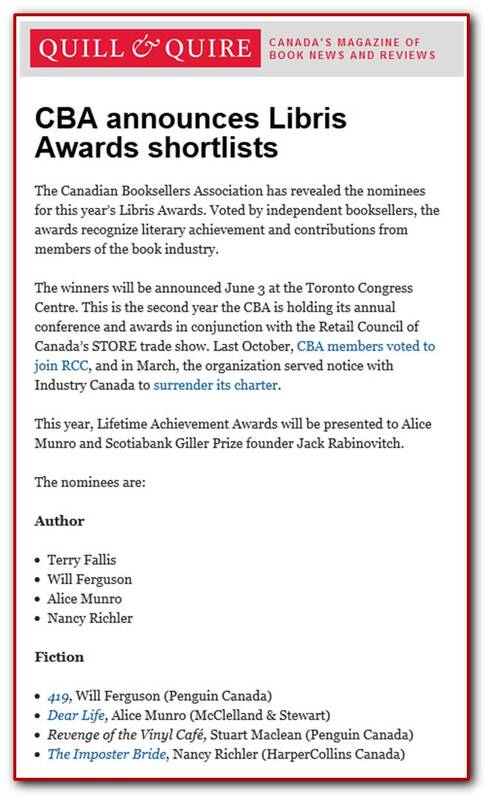 When the finalist list was announced last February, I was chuffed to have been included among so many wonderful writers. So I really wasn’t expecting to win (hence my lottery ticket purchase plan). I do want to pay tribute to my fellow finalists and thank them for their wonderful books. I encourage you all to read these fine works. As well, I’m grateful to all of the library patrons who voted in the sixty different branches participating in the Evergreen Award. I think of my blog partly as a digital scrapbook of this wild and wonderful writingÂ journey I’ve been on since finishing the manuscript for The Best Laid Plans back in 2005. So when I come across news items that help to put my experience into some kind of context or perspective, I’ll post it on my blog so I’ll have a record of it. This is one such time, so bear with me. 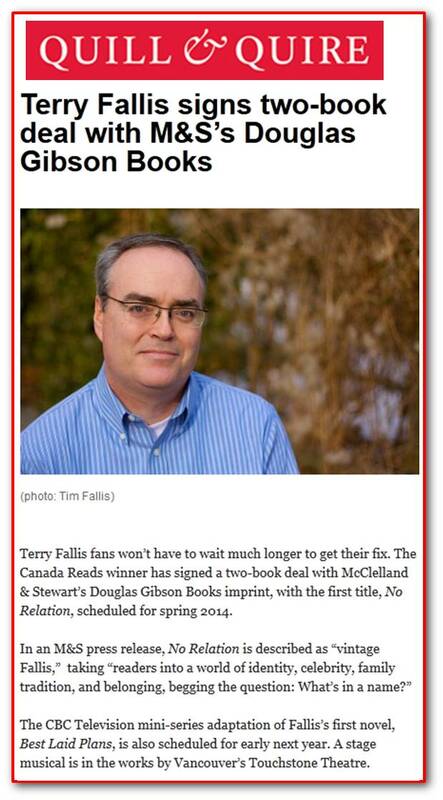 My literary agent, Beverley Slopen, discovered via Quill & Quire a week or so ago that for the first time, both The Best Laid Plans and The High Road made it onto BookNet‘s extended Canadian Fiction Bestseller’s list. I never dreamed this might happen so I’ve captured it here for posterity in case it never happens again! 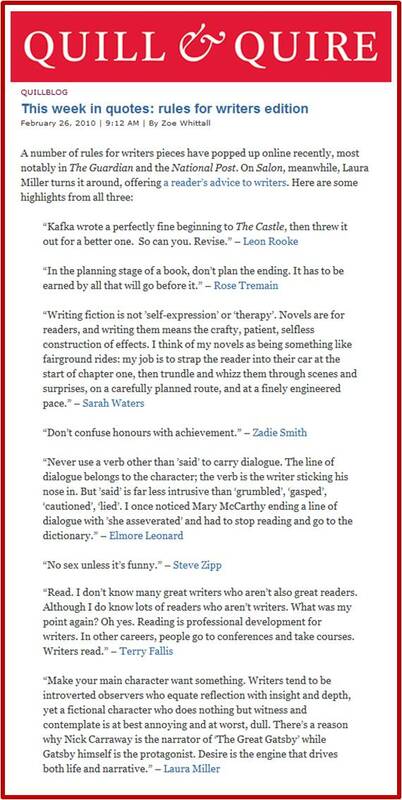 Quill & Quire has assembled on its blog some quotations from several authors capturing a selection of writing rules. Not sure how I made the list but Q&Q is clearly excerpting the Canada Also Reads piece the finalists were asked to submit last week for the National Post’s Afterword blog. I’m delighted to be there amidst some wonderful writers and their sage advice.